The 1st Year is on Us! Pose Method Certification. 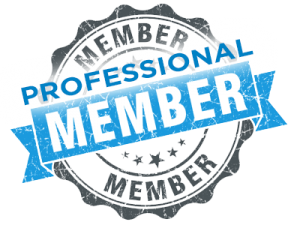 To register for Professional Membership account you must be a Pose Method® Certified professional with a current Certificate. Online directory listing. List your contact information and your company info on the International Online Registry of Technique Specialists worldwide. The listing will make it easier for potential clients to find you and add credibility to your professional image. Online event listing. List your events and classes on our online calendar. Our new calendar is easy to use and individual events can be embedded on your website or shared on social media. Class registration. You can now setup registration to your classes and events right on your calendar listing! Make it easier for people to register for your classes, and make it easier for yourself to collect payment. The system connects directly to your bank account so you get paid promptly. Alternatively, you can add your own payment method and link to it. Coaches’ resources. Access online tools, download assessment forms, powerpoint presentations for your classes, Pose Method graphics and logo, and more. Promotions. Your professional online profile will be highlighted on all our social media accounts, including our monthly newsletter. Publicity. When media looks for sources, interviews and quotes – we refer them directly to you! Whenever there is a publicity opportunity – we will let you know! Learning Opportunity. After attending the Certification Clinic and successfully passing the Certification Exam, all qualified coaches are eligible to attend as assistant coaches up to three (3) Certification Clinics a year of the same specialty as the Certification received. Practice and hone your coaching skills!